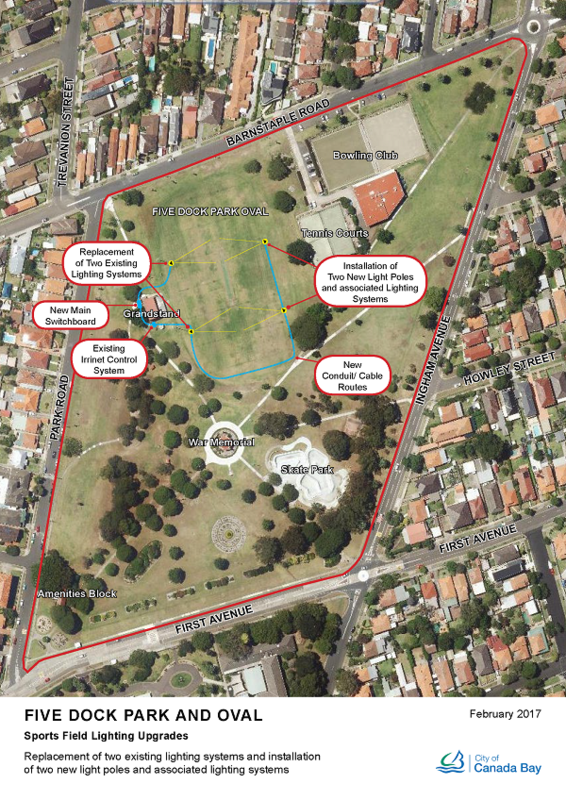 Thank you to our community members who participated in the consultation on the proposed upgrade of sports field lighting at Five Dock Park from 24 March - 13 April 2017. At Council's Meeting of 4 July, it was endorsed to proceed with this upgrade. 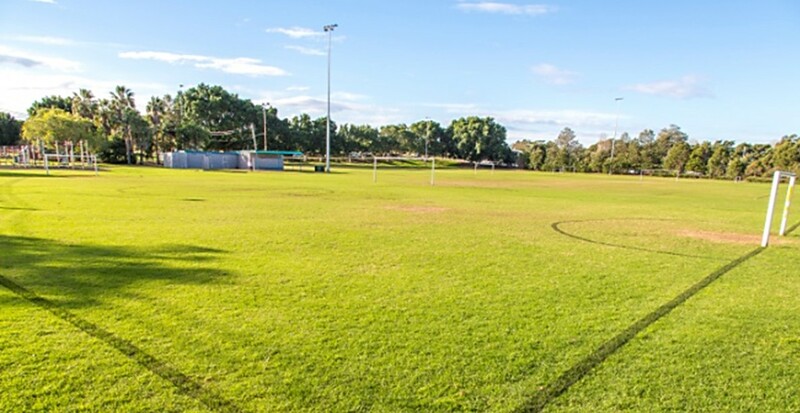 Five Dock Oval as part of Five Dock Park, is a popular sportsfield for our local community. It is proposed to upgrade the current lighting to enhance weeknight training. What are the details of the proposed lighting poles for Five Dock Park? Replacement of the two existing lighting systems situated on existing lighting poles (poles to remain) to the north western and south western corners of Five Dock Park. The two new lighting systems will each consist of three 2000w lights. Installation of the two new lighting poles to a height of 18.0m to the north eastern and south eastern corners of Five Dock Park. The two new lighting systems will each consist of three 2000w lights. The size of the poles are consistent with existing light poles at other recreation facilities, including Greenlees Park and Edwards Park. If this proposal is supported by the community, it is anticipated that the works at Five Dock Park will be completed by December 2017.